Kevin Kelly is one of the most optimistic people writing about technology, but there’s a nuance to his optimism that isn’t widely appreciated. Kelly sees technological progress as steady and inevitable, but not monotone. He has often said that new technologies create almost as many problems as they solve. Maybe it’s 10 steps forward and 9 steps back, but as long as the net motion is forward, progress accumulates. A naive form of technological optimism believes that everything is getting better every day in every way for everyone, and to suggest otherwise is heresy. Kevin Kelly has been called a “wild-eyed optimist,” but even he is not a dogmatic optimist on a micro scale. Even if most people believe an innovation is an improvement by the criteria they care most about, that doesn’t mean it’s an improvement for every purpose. You’re not a Luddite just because you think Version 8 of some software package was better than Version 9 for some task. 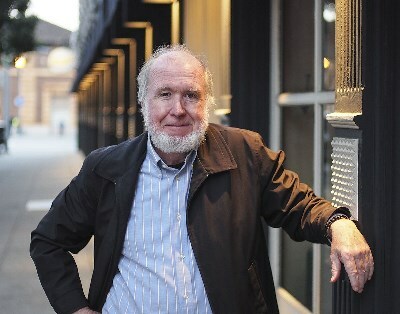 Photo of Kevin Kelly by Christopher Michel [CC BY 2.0] via Wikipedia. We grossly overestimate how much each particular technology, real today or imagined, will change the world. We (inevitably) underestimate the number and impact of technologies we can’t yet imagine. If we believe technology tends to be put to good uses, that means we will be disappointed by almost any particular technology we have imagined today. Yet the world will change more than the above skeptic conclusion would imply. Technologies unimagined today will surprise us. Technology bundles suffer most from isolated technological improvements. I spent way too many years welded to Python 2 because key packages I relied upon hadn’t made the move to 3. The upside was learning how many of these packages had lost their maintainers! They didn’t become obsolescent on their own, in that they continued to accomplish their assigned tasks with aplomb: Their ecosystem evolved and left them behind. This effect is common in pretty much all non-trivial systems, even more so when you include systems-of-systems, leading to “breaking updates” or “wholesale obsolescence” when too many parts must be upgraded or replaced in a single step. Fortunately, there are ways to fight the worst problems of creeping obsolescence while staying operational, exemplified by the military’s need to keep combat systems working across multiple technological generations. I’ve personally worked with making compact modules to replace obsolete ICs, code trans-compilers to both get old code into new systems and new code into old systems, with the most fun one being “de-coppering” projects to replace literally tons of copper signal cables with pounds of optical fiber. However, the best of the best situations is when I’d come across an old technology that had no newer-technology replacement adequate to the task. My favorite is the mag-amp (magnetic amplifier), which is the most survivable amplifier technology ever invented, being resistant to all nuclear effects (radiation, EMP, blast) without shielding. Yes, they are heavy and their efficiency is low, yet they persist in multiple “must never fail” systems. So, rather than look solely at technical advancement, it also pays to look at technological obsolescence that must be avoided.